In 2012 the three-time academy award winning filmmaker, Oliver Stone, and American University Professor and Historian, Peter Kuznick, released a book and Showtime series entitled The Untold History of the United States. Below is a copy of the “last episode in the series called Bush & Obama: Age of Terror. It covers the following subjects: The Project For A New American Century, a neoconservative think tank that called for a Pearl Harbor-type event to catalyze military action in the Middle East. The tyranny of neoconservatives who pushed us to war with Iraq using faulty intelligence. The rushing through of the Patriot Act, which stripped Americans of a wide variety of civil liberties while bestowing legal precedent to the new surveillance state. The national brainwashing and fear-mongering of the War on Terror. Invading Afghanistan to defeat some of the same terrorists the U.S. armed and trained two decades earlier. Unconstitutional torture and interrogation tactics at Guantanamo Bay. The mainstream media’s facilitation of war through propaganda and corporate collusion. Obama selling out to J.P. Morgan Chase, Goldman Sachs, Citigroup, General Electric, and Big Pharma. The $700 billion financial bailout paid for by workers, pensioners, homeowners, small businessmen, and students with loans. The rise of CEO compensation amid the collapse of the middle class. Obama’s failure to deliver hope, change, or transparency, his prosecution of government whistleblowers, his fortification of Bush’s national security state. The retired four-star general of the United States Army who served as Director of the National Security Agency Gen. Keith Alexander put it like this: “Obviously [, Bush and Obama] come from different parties, they view things differently, but when it comes to the security of the nation and making those decisions about how to protect our nation, what we need to do to defend it, they are, ironically, very close to the same point. You would get almost the same decision from both of them on key questions about how to defend our nation from terrorists and other threats”. “Breaking the Set: The Untold History of the US | Interview with Oliver Stone and Peter Kuznick” The Erimtan Angle (15 Dec 2012). https://sitanbul.wordpress.com/2012/12/15/breaking-the-set-the-untold-history-of-the-us-interview-with-oliver-stone-and-peter-kuznick/. “Oliver Stone’s The Untold History of The US .. Bush & Obama Age of Terror” Before it’s News (23 Sep 2015). http://beforeitsnews.com/politics/2015/09/oliver-stones-the-untold-history-of-the-us-bush-obama-age-of-terror-2744352.html. Glenn Greenwald, “Keith Alexander Unplugged” The Intercept (08 May 2014) .https://theintercept.com/2014/05/08/keith-alexander-unplugged-bushobama-matters/. ‘Is it for real this time? Moscow and Washington have announced a date for the cessation of hostilities of Syria’s 5-year civil war. This does not include the Syrian coalition’s campaign against terrorist groups operating in the country. Putin has delivered, can Obama? CrossTalking with Philip Giraldi, Gareth Porter, and Sami Nader. Published on Feb 24, 2016’. 30.01.2016 – Gürkan Hacır ile Şimdiki Zaman – Konuklar: Doç. Dr. Barış Doster / Araştırmacı – Yazar Mehmet Ali Güller / Araştırmacı – Yazar. 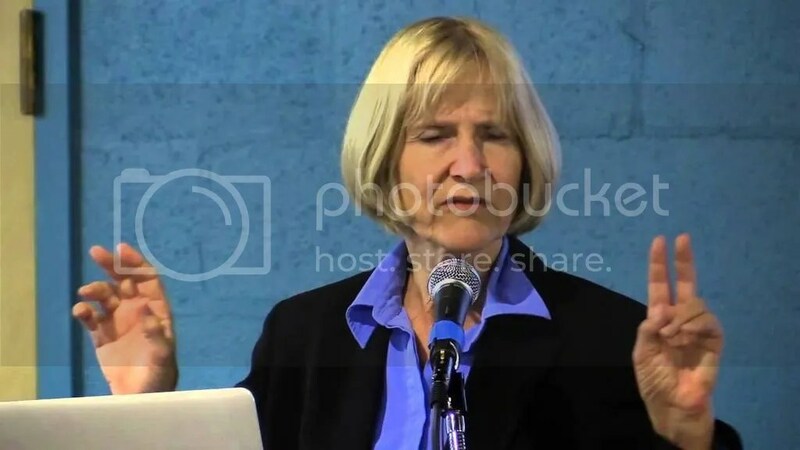 ‘Talk by Alison Weir, Executive Director of If Americans Knew, President of the Council for the National Interest, and author of the book Against Our Better Judgment: The Hidden History of How the U.S. Was Used to Create Israel recorded July 30, 2014 at the Common Good Cafe at University Temple United Methodist Church in Seattle, WA. Published on Aug 1, 2014′. This is an old blog post, dating back to the heady days of MySpace Blogging . . . first posted on 19 November 2009. The concept of nationalism has held sway over people’s imaginations for a long time now, to some it might even appear that the notion of nationalism has been around since time immemorial. But, people should realise that the French Revolution (1789), the subsequent upheaval in Europe and the emergence of the Industrial Revolution are the events that have ultimately led to the formulation of the ideological position known as nationalism. Far from being primordial social units, harking back to time immemorial, nations are fairly recent cultural constructs which organise a society and enable the state, not coincidentally also known as the nation state, to exert control and impose rules and regulations on people’s thoughts and actions. Thinkers such as Ernst Gellner (1925-95) have produced insightful analyses of the processes which have given rise to the shape of the world we live in today as a collection of nation states. Gellner’s now-classic text Nations and Nationalism (1983) should really stand at the outset of any inquiry into the phenomenon. Gellner says that ‘nationalism is primarily a political principle that holds that the political and the national unit should be congruent’. But rather than turning this blog entry into an academic discussion of the merits of Gellner’s argument, I would now like to call upon the work of another author. Namely Benedict Anderson, who coined the phrase “imagined communities” in 1983. A Wikipedia entry states that ‘Anderson defined a nation as “an imagined political community [that is] imagined as both inherently limited and sovereign”’. Another Wiki entry explains that an ‘imagined community is different from an actual community because it is not (and cannot be) based on everyday face-to-face interaction between its members. Instead, members hold in their minds a mental image of their affinity. For example the nationhood you feel with other members of your nation when your “imagined community” participates in a larger event such as the Olympics [or football matches]. As Anderson puts it, a nation “is imagined because the members of even the smallest nation will never know most of their fellow-members, meet them, or even hear of them, yet in the minds of each lives the image of their communion” Members of the community probably will never know one another face to face; however, they may have similar interests or identify as part of the same nation. The media also create imagined communities [such as the Tea Party-goers], through targeting a mass audience or generalizing and addressing citizens as the public’. The point that I am trying to get at by referring to such authors as Gellners and Anderson is that “nations” cannot be perceived as “natural” or even “organic” phenomena, but rather as contrived and constructed social units consisting of individuals who willingly become part of a larger artificial whole through the manipulation and management of larger forces and structures – leaders of men and their organisations. 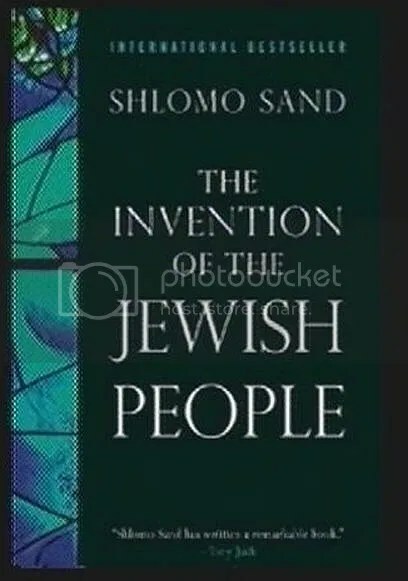 This is the intellectual background against which Shlomo Sand’s unexpected bestseller The Invention of the Jewish People has to be evaluated: a ‘bestseller in Israel and France, Shlomo Sand’s book has sparked a widespread and lively debate. Should the Jewish people regard themselves as genetically distinct and identifiable across the millennia – or should that doctrine now be left behind? And if the myth of the “Jewish state” is dismantled, could this open a path toward a more inclusive Israeli state, content within its borders?’. Bellow is a clip of the somewhat clueless George Galloway interviewing Shlomo Sand on his show on Press TV (posted on 8 November 2009). As mentioned by Shlomo Sand in the interview, many Israelis and Zionists alike regard themselves as the descendants of King David and his subjects. On the website of the Israeli Ministry of Foreign Affairs, the Zionist author Daniel Gavron does indeed state that ‘most Israelis [regard it as] axiomatic that the celebrations for the 3,000th anniversary of the conquest of Jerusalem by King David mark a real and tangible event’, even though he himself doubts the authenticity of the event. In other words, the purely artificial unit of a “nation” in most cases relies on history to supply its base and justification. The French thinker and writer Ernest Renan (1823-92) supplied an intellectual framework for this phenomenon in delivering a lecture at Sorbonne on 11 March 1882: Qu’est-ce qu’une nation? or “What is a Nation?”. A nation is a soul, a spiritual principle. Two things, which in truth are but one, constitute this soul or spiritual principle. One lies in the past, one in the present. One is the possession in common of a rich legacy of memories; the other is present-day consent, the desire to live together, the will to perpetuate the value of the heritage that one has received in an undivided form. Man, Gentlemen, does not improvise. The nation, like the individual, is the culmination of a long past of endeavours, sacrifice, and devotion. 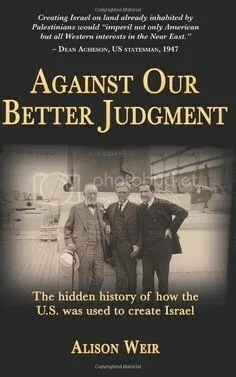 Of all cults, that of the ancestors is the most legitimate, for the ancestors have made us what we are. As a result, Leaders of Men cunningly manufacture and exploit “history” to mobilise their following, to mislead the hapless populace into thinking that they constitute a “nation” rather than a random collection of individual men and women arguably sharing some traits in common. For, we should not forget, that “history” as such does not exist either, but is constructed by historical narratives aided by material artifacts and imaginary memories of a past . . . In the twentieth century, two new nation states emerged in the Middle East, which exemplify Renan’s axiomatic proclamation: Turkey and Israel. The first is supposedly a nation state of Turks with a culturally and ethnically homogeneous population, going back centuries to the year 1071, the year when Turkish tribes first entered the Anatolian peninsula under the Seljuq Sultan Alp Arslan. So, it is claimed that Turkey’s population has an ethnic composition which is purely Turkish – “genetically distinct and identifiable across the” centuries. 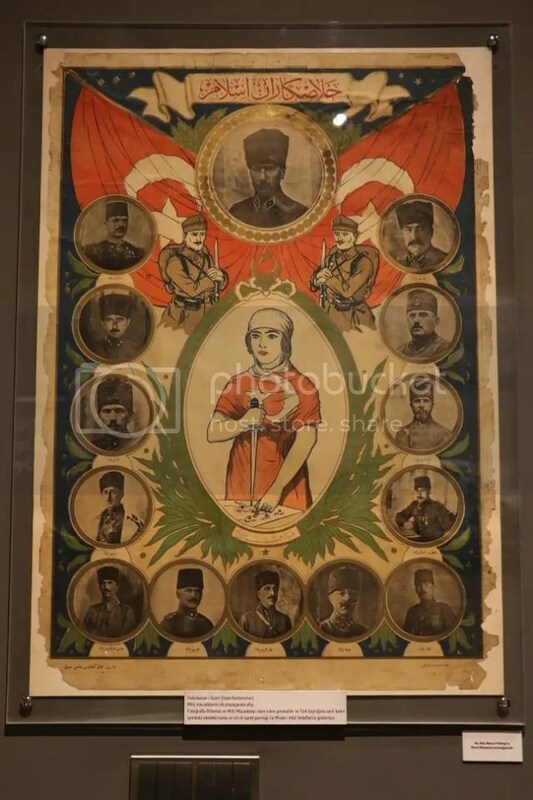 Still, for centuries after the Turkish conquest of Anatolia, its population was mixed, ethnically as well as religiously And, as I’ve explained somewhere else, ‘during the Great War, which subsequently became known as the First World War (1914-18) . . . the Ottoman heartland, Anatolia, [still] had a population which was an uneven mix of many religious [and ethnic] groups, with the Muslim section being in the majority. These Muslims were however not all [ethnically] Turk[ish], even though [the Turks] constituted a slim majority. Anatolian Muslims consisted of Kurds, Arabs, Lazes, Muslim Georgians, Greek-speaking Muslims, Albanians, Macedonian Muslims, Pomaks, Serbian Muslims, Bosnian Muslims, Tatars, Circassians, Abkhazes, and Daghestanis among others’. The historian Justin McCarthy, who is much-loved in Turkey for providing academic support for genocide denial, correctly states that ‘Anatolia remained a mix of Muslim and non-Muslim communities until World War I’. During the Great War, the Ottoman government instituted a policy of “ethnic cleansing”, which “purefied” the peninsula from non-Muslim ethnic groups. 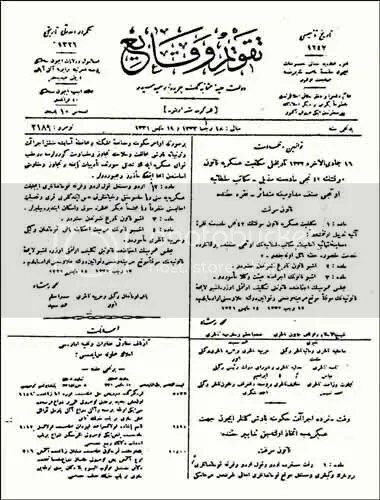 The most notorious case being the Armenian Ottomans who were removed legally by means of a ‘Temporary Law of Deportation’ (Tehcir Kanunu), issued on 29 May 1915 and in effect till 8 February 1916. Following the end of the Great War and the defeat of the Allied occupiers of Anatolia in 1922, a ‘”Convention Concerning the Exchange of Greek and Turkish Populations” was signed at Lausanne, Switzerland, on the 30th of January 1923, by the governments of Greece and Turkey. The exchange was based on religion, and involved the Greek Orthodox citizens of Turkey and the Muslim citizens of Greece’. There still remained other Christian minorities in the land, but the remaining population of Anatolia was subsequently nearly uniformly Muslim, but not necessarily of Turkish stock. The Republic of Turkey nevertheless emerged as a Turkish nation state in 1923. Government propaganda and social engineering subsequently transformed these Anatolian Muslims into Anatolian Turks, happily living in a Turkish nation state. This cursory descriptive analysis of the origin of the current Turkish Republic shows how the Leaders of Men in the case of Turkey employed a “a rich legacy of [constructed] memories; [and] present-day consent” to manufacture a population which was meant to be ethnically homogeneous. The religious component was cunningly transformed into an ethnic qualifier – Muslim became Turkish. a nation relies on a ‘heroic past, great men, glory (by which I understand genuine glory, this is the social capital upon which one bases a national idea). To have common glories in the past and to have a common will in the present; to have performed great deeds together, to wish to perform still more-these are the essential conditions for being a people. One loves in proportion to the sacrifices to which one has consented, and in proportion to the ills that one has suffered. One loves the house that one has built and that one has handed down’. 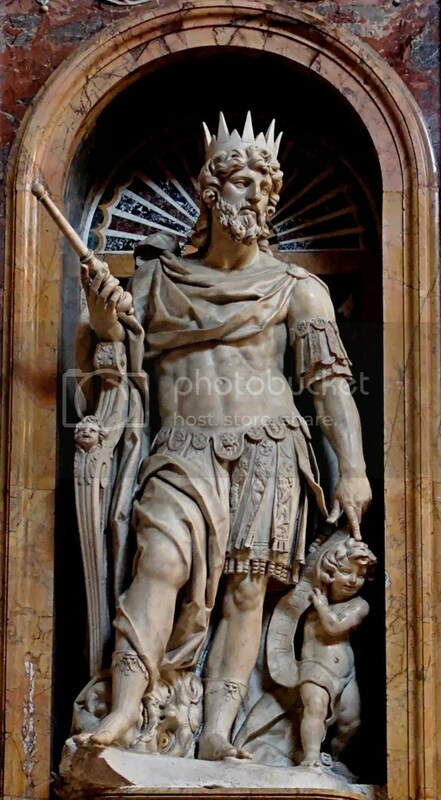 Zionists like to claim King David as their hero and true forebear. Dr. Edward D. Brotsky, himself a proud Christian Zionist, for instance, states self-assuredly that ‘Jerusalem itself had become the religious centre of the Jewish nation when King David conquered the Jebusite fortress of Zion in the 10th century B.C.’, elaborating on the myth of Jewish purity and seniority in the nation state of Israel which is at present illegally occupying east-Jerusalem. Ernst Gellner, Nations and Nationalism (1983), p. 1. “Shlomo Zand, Author of “The Invention of the Jewish People”, at UC Berkeley” Palestine | East Bay http://www.indybay.org/newsitems/2009/10/13/18625361.php. Daniel Gavron, “King David and Jerusalem: Myth and Reality” Israel Ministry of Foreign Affairs. (06 September 2003). http://www.mfa.gov.il/MFA/MFAArchive/2000_2009/2003/9/King%20David%20and%20Jerusalem-%20Myth%20and%20Reality. “What is a Nation? (Qu’est-ce qu’une nation? )” Nations & Nationalism. http://www.tamilnation.org/selfdetermination/nation/renan.htm. Abu Cihan, “Turkey, Armenia, and the Issue of Genocide” MySpace Blogs (19 December 2008). http://blogs.myspace.com/index.cfm?fuseaction=blog.view&friendId=95425702&blogId=463027851. Justin McCarthy, Muslim and Minorities: the Population of Ottoman Anatolia and the End of the Empire (New York: NYU Press, 1983), p. 1. “Population exchange between Greece and Turkey” Wikipedia. http://en.wikipedia.org/wiki/Population_exchange_between_Greece_and_Turkey. “What is a Nation? (Qu’est-ce qu’une nation?)”. Edward D. Brotsky, “Part Five: Religious” CHRISTIAN ZIONISM. http://christianactionforisrael.org/judeochr/radio.html.